Today we headed to the South of the island to explore. It was a hot, sticky day and even though we started fairy early we were hot and bothered by the first stop. As Aussies we should be used to the heat but as South Aussies, it’s the humidity that really gets us. A few nights ago we took a taxi to the shops to pick up some supplies and our driver, Vijay, was lovely. Even though he was only taking us on a short drive he was so friendly and a wealth of information, so we decided to book him for a tour of the south (it’s quite hard to find a really friendly driver here so we snapped Vijay up as quick as we could). 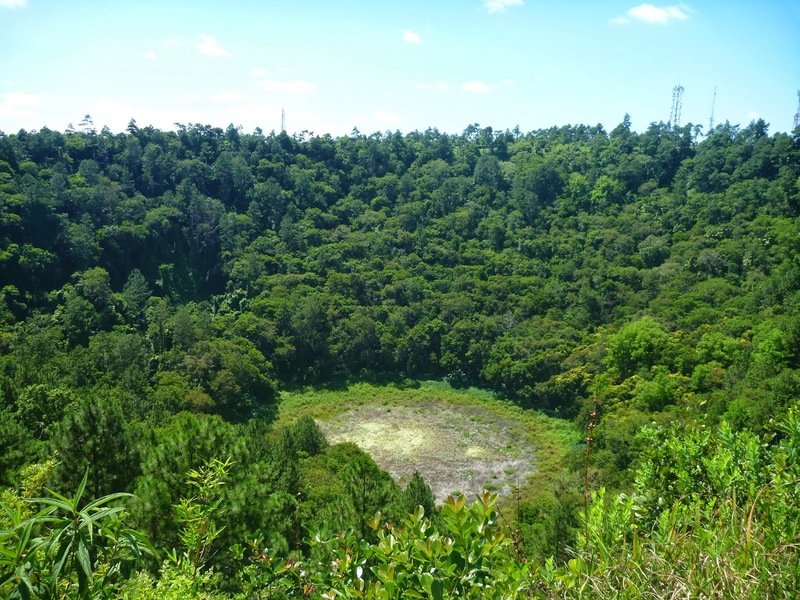 First stop was Troux aux Cerfs, a volcano crater located near Curepipe, Mauritius’ biggest city. We walked around the rim which gave us fantastic views o not only the inside of the crater, which is now covered in lush vegetation, but also over the whole city of Curepipe and out to the ocean. Next we went quad biking around La Valée des Couleurs, a site where you can see 23 different colours within the earth. 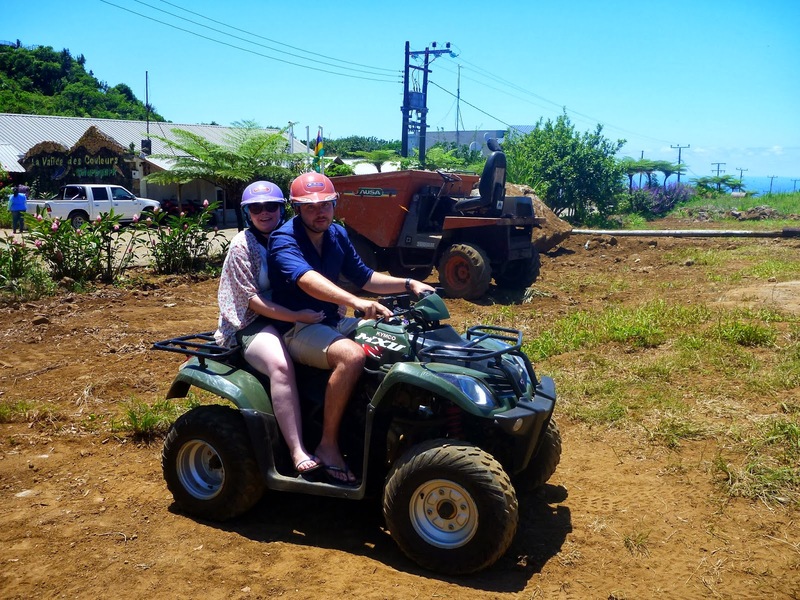 This actually wasn’t that mind-blowing but it was the first time I had ever been quad biking and with my handsome driver husband doing a great job it was pretty fun. Ganga Talao was our third stop. 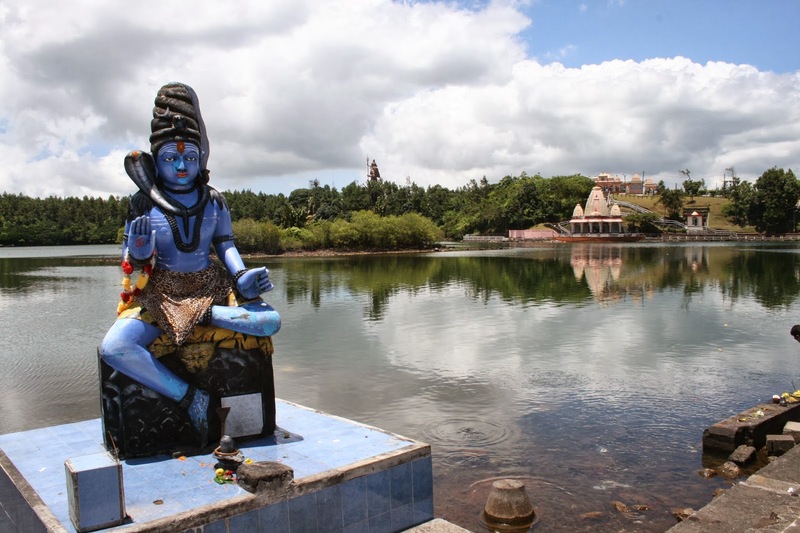 This crater lake, also called Grand Bassin, is a sacred lake to the Hindu people of Mauritius and is dedicated to the god Shiva. 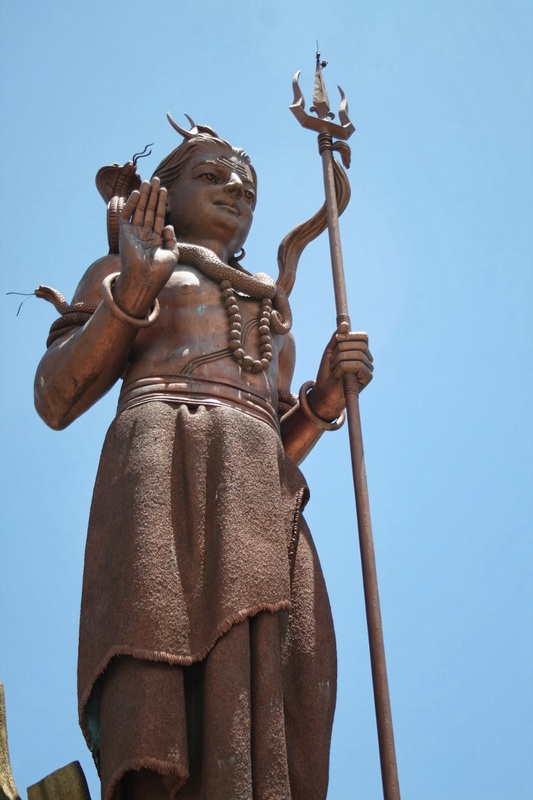 There is a temple and shrine around the lake and nearby is a massive statue of Shiva. 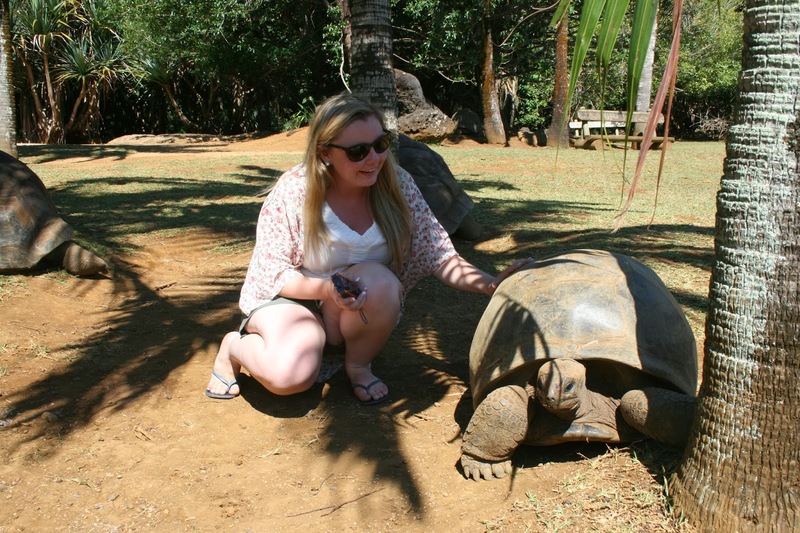 Lunch isn’t really worth mentioning but after a bite to eat, we made our way to our last stop – La Vanille park, which is a crocodile farm that also has an incredible Insectarium, and my favourite – Giant Tortoises! I have a lot of respect for old species (evolutionarily speaking) and always think it’s a massive privilege to be ‘up-close-and-personal’ with them. Well that’s all from me today, we’ve checked into a new hotel on the other side of the island… more adventures await!